The U.S. Department of Health and Human Services says about seventy percent of people over age 65 will need long term care during their lifetime. But the need for long term care services is not limited to seniors. There are now forty percent of people currently receiving long term care that are between the ages of 18 and 64. Certainly the older you are, the more likely it is that you will need long term care. And because women outlive men by about five years on average, they are more likely to live at home alone when they are older and need assistance at some point. One of the most comprehensive studies on the cost of long term care is from Genworth Financial, a Fortune 500 company. The Genworth Financial 2018 Cost of Care Survey includes national long term care costs from over 15,000 long term care providers in 440 regions. Oregon long term care rates are important for Oregonians to consider. Because the local cost of long term care is a key factor in identifying how much long term care coverage to include in your financial plan. The purpose of the Oregon Long-Term Care Insurance Partnership Program is to encourage people to plan ahead for how they will pay for future long term care needs. The Long Term Care Insurance Oregon Partnership is a special program. It joins the policy benefits from long term care (LTC) insurance companies with special access to Medicaid. These LTC Partnership policies provide an extra level of protection, when compared to a standard long term care insurance policy. In particular, LTC Partnership policies permit individuals to protect assets from spend-down requirements under Oregon’s Medicaid program, if help under that program is ever needed. Thus, the Long Term Care Insurance Oregon Partnership Program allows Oregonians to protect all, or a portion of their assets, and still qualify for Medicaid. This feature works if your long term care needs last longer than your long term care insurance benefits. Long term care insurance companies must offer specific benefits, as required by the Long Term Care Insurance Oregon Partnership Program. 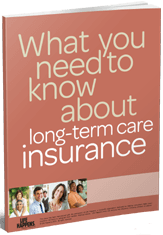 This rule can help take the guesswork out of choosing your long term care insurance benefits. Long term care insurance policies sold under the Long Term Care Insurance Oregon Partnership are known as “Partnership Policies”. It is Section 6021 of the 2005 Deficit Reduction Act that allows for Qualified State Long Term Care Partnerships. Long Term Care Insurance Oregon Partnership policies have rates like non-partnership policies. But, the required features of an LTC Partnership policy can restrict benefit design. Thus it’s a good idea to also consider non-Partnership long term care policies. A wider range of benefit design may be available and more suitable to a particular situation. Our insurance agents specializing in Oregon LTC insurance can explain differences. If you buy your long term care insurance Partnership policy in another State, you will not lose the special asset protection if you move to Oregon. Oregon will recognize accumulated asset protection if you’re already receiving benefits under your Partnership long term care policy before moving to Oregon. There are several states in the country that have this LTC Partnership Reciprocity, but not all states have reciprocity. How Much Does LTC Insurance Cost In Oregon? Oregon long term care insurance and Partnership Policies are available from several top-rated insurance carriers. These companies are regulated by the Oregon Department of Insurance, and each typically has a sweet spot based on age related pricing and health underwriting. We offer traditional long term care insurance, Partnership Policies and hybrid long term care insurance plans. Our licensed professionals maintain long term care specific training and education requirements. Compare Oregon’s Long Term Care Insurance Companies, Quotes and Policy Costs. We’ll help you compare the companies and plan options side by side. We also provide detailed comparisons to the AARP LTC insurance offerings.